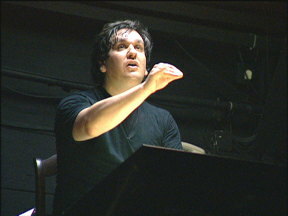 LONDON (AP) - Antonio Pappano has become the youngest musical director of the Royal Opera, the prestigious company based at the troubled Royal Opera House in London's Covent Garden. Pappano, 39, the musical director of the Theatre Royal de la Monnaie opera house in Brussels, will take over in London from Bernard Haitink in 2002. The opera house has endured a period of financial uncertainty and infighting and hopes the new appointment will usher in a new era. "Of course, taking over such an important and vast organization will be a tremendous challenge, but it is a challenge that is right for me at this time,'' he said. Pappano and Sir Anthony Dowell, director of the Royal Ballet, will share the role of artistic director of the Royal Opera House, home to both the opera and the ballet. "It is the board's view that two equal artistic leaders, a musical director of the Royal Opera and a director of the Royal Ballet, will ensure the best creative and performing conditions from the companies,'' the Royal Opera House said in a statement. The conductor Antonio Pappano has been named new music director of the Royal Opera. He is to take over from the current director Bernard Haitink in 2002. Pappano is currently the music director of the Theatre Royal de la Monnaie opera house in Brussels and will share the artistic leadership role of the Royal Opera House with the director of the Royal Ballet Sir Anthony Dowell - also based at the Covent Garden venue. Pappano said it was a "privilege" to succeed Haitink. "The orchestra under his leadership has attained worldwide renown and I consider myself fortunate to inherit such a wonderful instrument." "Of course, taking over such an important and vast organisation will be a tremendous challenge, but it is a challenge that is right for me at this time." Pappano, 39, will be the youngest artistic director at the ROH. Haitink, who threatened to resign during the Royal Opera House's troubles earlier this year, has agreed to stay and lead the next three seasons. Haitink said: "I am delighted about the appointment of Tony Pappano as the next music director." "I am especially pleased about the level of the commitment which he has undertaken to give to the Royal Opera House, which is exactly what the company and orchestra will need as they go through into the next decade." 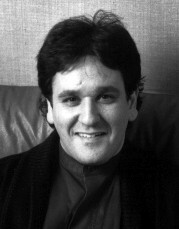 Pappano was born in London of Italian parents but brought up in the US. He has conducted at European and American opera houses and is also principle guest conductor of the Israel Philharmonic Orchestra. Freitag, 26. März 1999 - Die Royal Opera Covent Garden in London, derzeit geschlossen wegen umfangreicher Sanierungsmaßnahmen, hat einen Nachfolger für Bernard Haitink gefunden. Der 39jährige Engländer Antonio Pappano wird zukünftig die musikalischen Geschicke des Hauses leiten. Gleichzeitig wurde als Generaldirektor für die administrativen Aufgaben Michael Kaiser berufen. Die Komplettaussetzung des Spielbetriebes soll noch bis Ende November andauern, am 1. Dezember wird das Haus mit einer Galavorstellung wiedereröffnet, wie die Süddeutsche Zeitung berichtet. Zum ersten Mal dirigierte Antonio Pappano, Musikchef der Brüsseler Oper, in Bayreuth: ein gelungener Einstand, eine lebendig und beweglich, dramatisch und kontrastreich, dabei mit Klangsinn und Gelassenheit vorgetragene Partitur, ein auf Anhieb eigenfarbiger und profilierter Lohengrin. Das Festspielorchester: sofort in Hochform. Classica presents the portrait of a young conductor on the path to international fame. Antonio Pappano, born the son of Italian parents in London, has been heading the celebrated Théâtre de la Monnaie in Brussels since 1992. He made his Bayreuth debut in 1999 and will succeed Bernard Haitink in 2002 as the youngest principal conductor of the Royal Opera House Covent Garden. In János Darvas' film, Pappano speaks about his career and his views on music. Excerpts from rehearsals and performances show us the multilingual conductor at work on the operas "Falstaff" in Florence, "Lady Macbeth of Mtsensk District" in Brussels, "Lohengrin" in Bayreuth and at the recording of Massenet's "Manon". Rounding off the portrait are interviews with stage directors Willy Decker and Keith Warner, as well as with Michael Kaiser of the Royal Opera House Covent Garden. Dokumentation über einen jungen Dirigenten auf dem Weg zur Weltspitze: Der in London als Kind italienischer Eltern geborene Antonio Pappano leitet seit 1992 das berühmte Théâtre de la Monnaie in Brüssel, 1999 debütierte er in Bayreuth, 2002 wird er als jüngster Chefdirigent des traditionsreichen Londoner Opernhauses Covent Garden die Nachfolge Bernard Haitinks antreten. In dem Film von János Darvas spricht Pappano über seine Karriere und seine Auffassung von Musik. Ausschnitte aus Probe und Aufführung zeigen den multilingualen Dirigenten bei der Arbeit an den Opern "Falstaff" in Florenz, "Lady Macbeth von Mzensk" in Brüssel, "Lohengrin" in Bayreuth und bei der Schallplattenaufnahme von Massenets "Manon". Mit Beiträgen der Regisseure Willy Decker und Keith Warner sowie von Michael Kaiser vom Royal Opera House Covent Garden. Antonio Pappano is the youngest musical director of the troubled Royal Opera House, Covent Garden - or rather will be when the current director Bernard Haitink steps down in 2002. To many people Pappano is an unknown quantity - not to the inhabitants of Brussels, where he has been director of the Théâtre Royal de la Monnaie opera house - and this portrait shows us what we might expect. Pappano, born in London of Italian parents, is shown in rehearsal for his debut in Bayreuth - conducting a new performance of 'Lohengrin' - and talks about his remarkable rise to fame, his background, his beliefs, and his hopes for the future of his controversial new musical home.